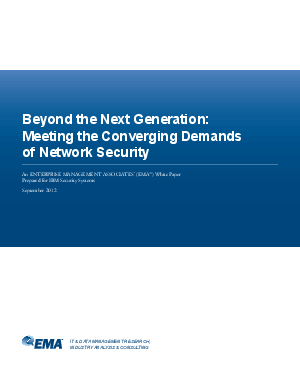 A number of network security technologies have arisen that claim to be the "next generation" of network defense - but what does this concept actually mean? How is the threat landscape changing the way we think about and deploy network security solutions? Scott Crawford, Managing Research Director, Security and Risk Management at EMA Research provides insight into what we can expect in the area of network security and how to leverage new technologies to meet today's security challenges in light of other considerations such as overall complexity and peformance.